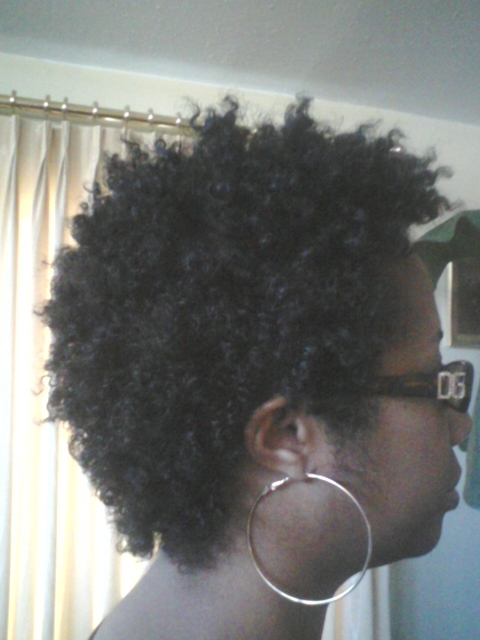 Loving Dee Naturally : My twistouts(on old wash and go) ""
The main goal in doing my twistouts on old wash and gos is to stretch or elongate my curls while preserving whatever curl definition I have at the time of my dry, frizzy wash and go. so I don't comb through each medium sized section of hair. I don't even rake with my fingers so much. My second goal is to re-hydrate my hair. 1. Spritz medium(not small) sized section of hair with my water/aloe vera juice/Tresemme/oil spritz until slightly damp...just enough to where I feel my hair softens up and I can manipulate it. All of the hair in the section is not wet. It doesn't take much spritzing at all...just a little. 2. Once hair is slightly misted in the section I smooth the spritz water concoction onto the section of hair focusing on moistening the frizzy parts and stretching out all the curls that have curled up ONTO my scalp, leaving my curls intact. 3. I lightly smooth my homemade creamy shea butter mix onto the ends first, and then onto the rest of the section. 3. So now I have a section of hydrated and sealed curls in my hand. 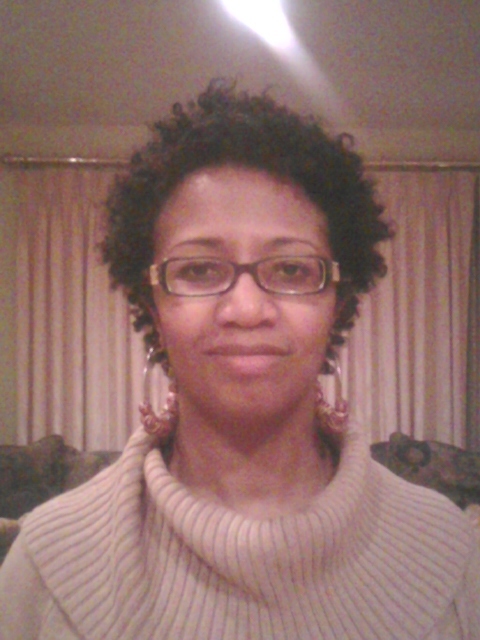 I split them in 2 and then twist, again, leaving the curls intact, not pulling the hair straight and twisting, but holding the section loosely and twisting the curls, if that makes sense. 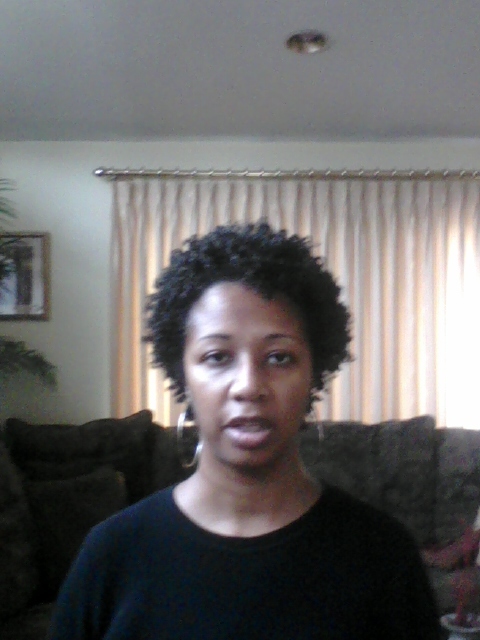 Because my hair is not saturated with water but just slightly damp, my hair dries in a short time. 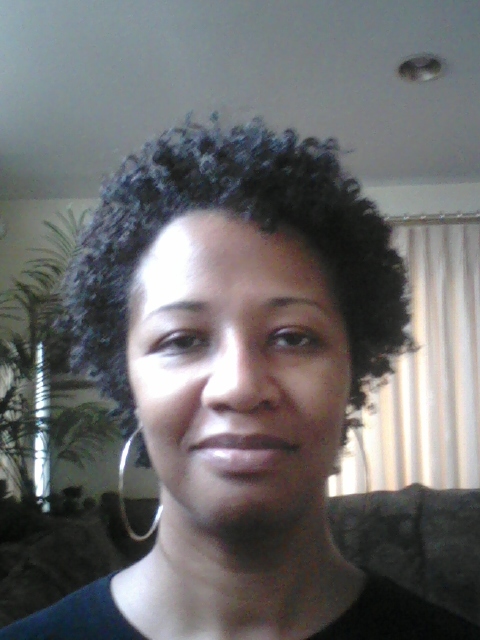 Most days I sleep overnight in the twists and take them out the next day. 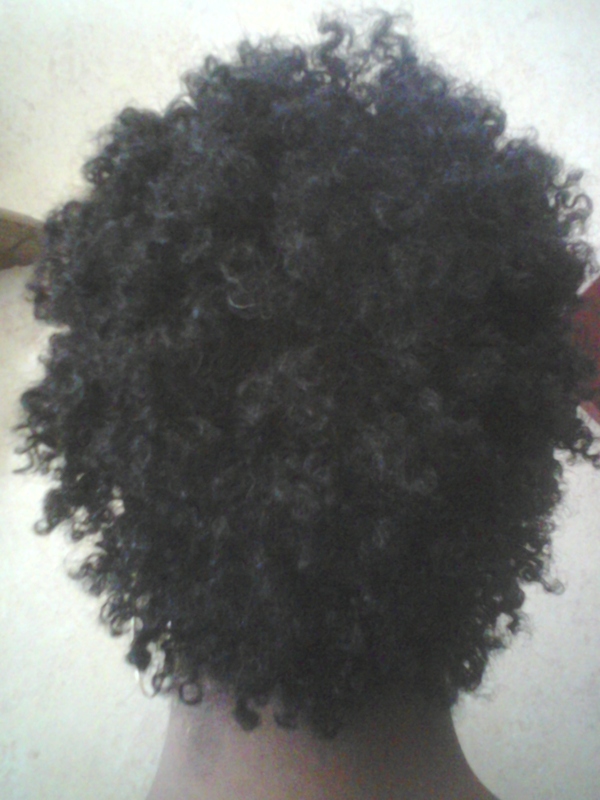 That style will last me another (2-3 days) and then it's time to rinse/co-wash again. 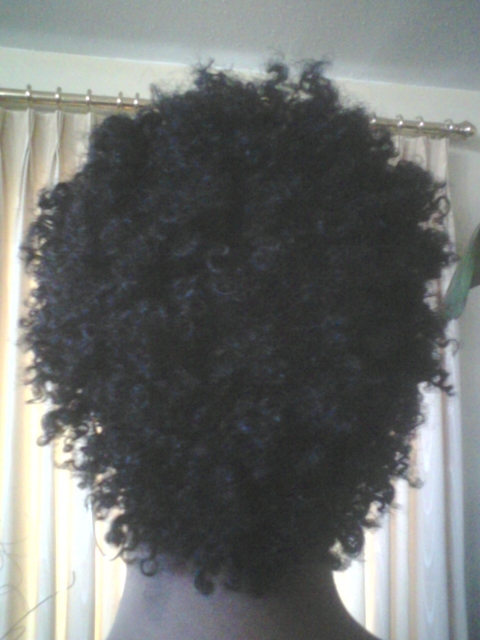 Also, by then I'm ready to feel water, sho-nuff, in my hair again and I'm looking forward to a wet saturated head again. 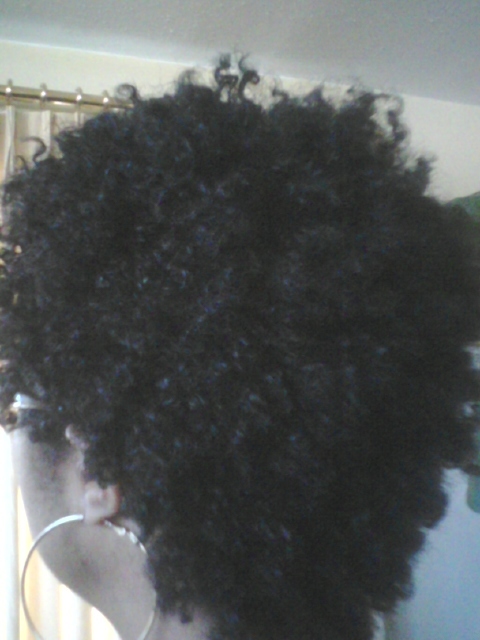 I love the fullness that a damp/almost dry twistout gives and I love the fact that my curls are stretched and I can see my length more. I really like this method of elongating my curls somewhat and stretching the time between having to co-wash/rinse my hair during the winter. 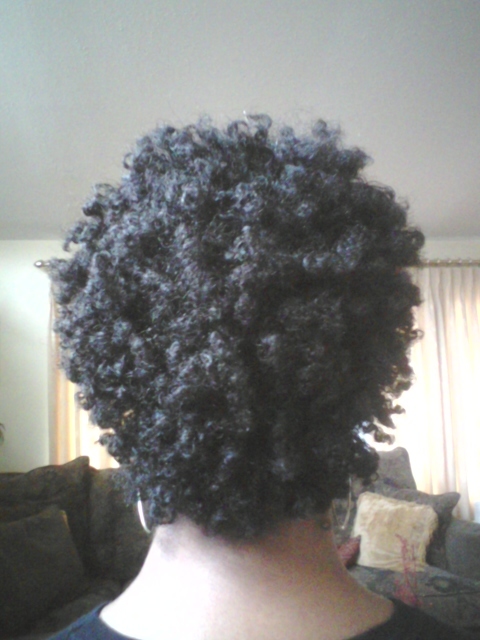 I have done twistouts after co-washing(wet twistout) but I find I don't have the fullness with the wet twistouts that I do with the damp/dry twistouts. I prefer the damp/dry twistouts. So with this method I get the versatility of my wash and gos that I love and my curl-elongating twistouts in one week's worth of hair styles. I think this will work for me at this stage of hair growth and length. I keep reading that this awkward stage of length can be challenging to figure out how to style hair. I hope this is something that will continue to work for me.